This course focuses on the advanced operation of Pro Tools in a professional post production environment. 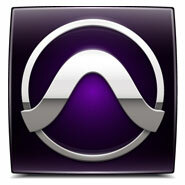 It includes technical insights into both Pro Tools hardware and software. This course is designed for end-users with intermediate Pro Tools post-production skills who want to gain the highest level if technical and operational Pro Tools knowledge. Prior to taking the Pro Tools Music Expert certification exam, students must have successfully completed the above 200-series courses and acquired Avid Pro Tools Music Operator certification.